What's on Netflix > Netflix News > When Will Disney’s Moana be on Netflix? When Will Disney’s Moana be on Netflix? Disney’s animated Family adventure ‘Moana’ released on November 23rd, 2016 and has been regarded as one best in recent film making, not quite the success of Frozen though. 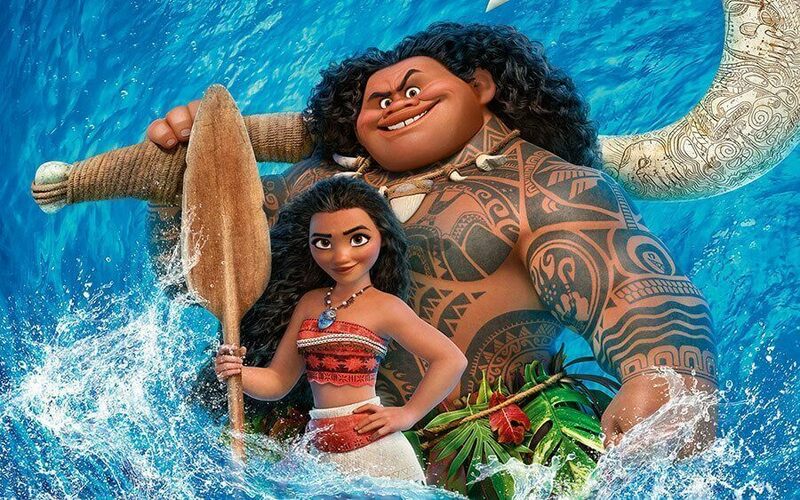 The film introduces a new Disney Princess ‘Moana’ from ancient Polynesia. If you missed your chance of watching this at the cinema (or you just can’t wait to see it again) you might not have to wait long at all, until you will be able to stream it anytime you want. After a devastating curse dangers her home, Moana must find the Demigod Maui to help her restore peace and normality for her people. She comes from a long line of navigators and is supported by the ocean, in more than one way. This film, like Frozen has been loved by children and is one of the only Disney Princes movies that does not actually include an active love interest throughout. The Story is based off actual Polynesian mythology, and they must return the stolen heart of ‘Te Whiti’ a goddess with immense power and brutality. Auli’i Cravalho voices Moana along with Dwayne ‘The Rock’ Johnson voicing the demigod. Netflix does currently contain a good amount of Big Disney films, such as Tarzan, Finding Dory and Zootopia. But it does seem to lack Disney Princess’s. That’s why you should be looking forward to this strong independent princess coming to Netflix for your enjoyment. The Film hasn’t been out for too long, but it has already been announced to be coming to Netflix sometime in 2017. It is Estimated to be releasing onto Netflix sometime in June 2017.